@nadia_dailyself – Travel writer behind the blog Daily Self, Nadia is currently exploring what Cuba has to offer. Her reviews explore local culture, food, sightseeing and more. @thetraveltwo – Daniella Moyles and Martin Gaughan of The Travel Two are two friends turning life into an eternal holiday. Expect lust worthy photography and expertly edited vlogs. 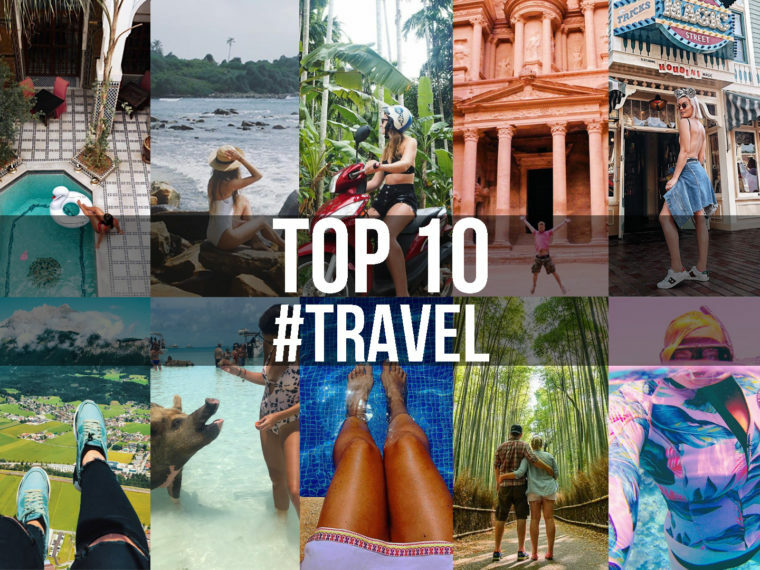 @brady_ciara – Giving up her 9-5 job to travel the world, Ciara has visited 21 countries in her first 200 days on the road and doesn’t plan on stopping anytime soon! @onestep4ward – Starting off broke and turning to blogging to feed the travel bug, Johnny Ward has now visited every country in the world and earned over 1 million US dollars, since starting his travel blog. Wow. @anouskapb – One of Ireland’s leading bloggers, Anouska captures the beauty of every location she visits with an expert eye for both photography and style. @the_gapyear_guru – Good vibes only! Jess Glynn’s feed of travel pics is filled with colour, smiles and infectious positivity. It’s a double tap from us. @terriemcevoy – Starting her blog in Ireland before moving to OZ, Terrie’s dream of travelling has brought her to Thailand, the Fiji islands, Jamaica and beyond. Having recently returned to Ireland, Terrie shares her tips and advice on travelling the world. @the_travel_expert – Sarah Slattery worked as a travel agent for 24 years. Her expert advice covers everything from family holidays, daily travel tips and flight deals! @thewholeworldisaplayground – The Whole World is a Playground is a luxury travel blog founded by Elaine and Dave, an adventure loving couple with a passion for travel. @whereistarablog – We love Tara’s informative feed and refreshingly honest female view on travel, with a generous sprinkling of her incredibly colourful lifestyle.